Excited to start your exchange in Amsterdam? Hereby our first event for this spring semester! 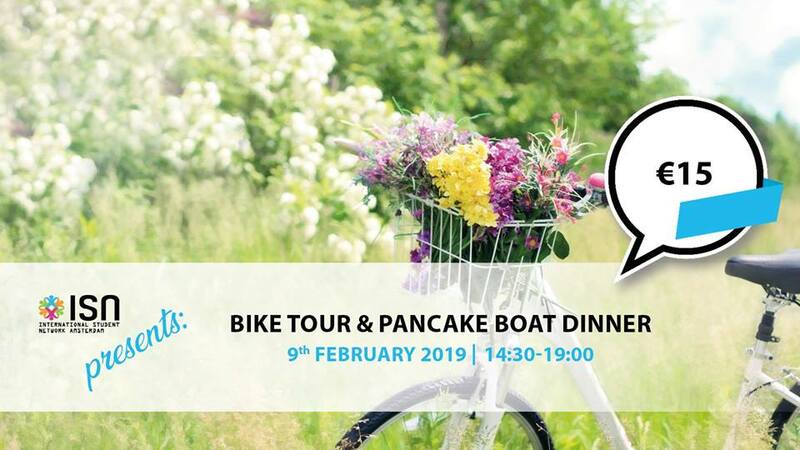 We will take you on a bike tour through the northern part of Amsterdam, followed by a well-deserved pancake dinner – in typical Amsterdam style – on a boat! We will meet at the Starbucks at Oosterdokskade at 2.30. From there on, we will start our tour. At 5.30 we will arrive at the Pancake Boat. During the trip, you can admire the landscape along the IJ river – it will give you a different perspective of Amsterdam. Around 7 we will be back. Do not forget to bring your own bike! It is not possible to join the tour if you do not bring your own bike.